It’s not very enjoyable. You have to put on the heavy apron, hold a stiff piece of film in your mouth and sit really, really still while we take x-rays. Is it really needed? At The Steele Creek Dentist in Charlotte, we say absolutely! No question about it. This depends on the dental patient. A patient with no history of dental caries, no current tooth decay, no braces, and no existing crowns, veneers, or bridgework is at low risk for cavities. A high-risk patient is in the opposite situation and may have one or more of the following: previous tooth decay, existing restorations, braces, weak enamel, chipped or cracked teeth. In addition, patients with an eating disorder or other medical condition may be considered high risk. 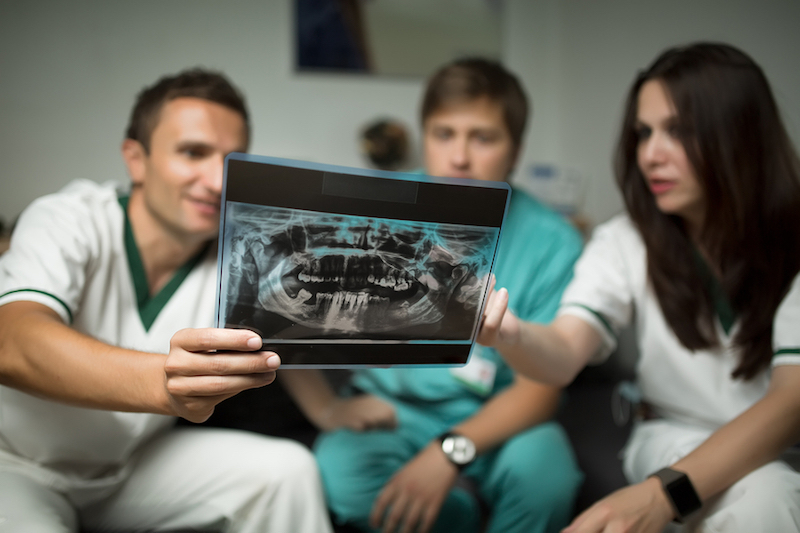 People who haven’t had their wisdom teeth extracted also need to be followed with x-rays more frequently. At Durham Dental Group in Durham NC, the state of your smile is important to us, and we do everything necessary to keep it healthy. Our services include general and cosmetic dentistry, including checkups and cleanings, and of course, x-rays. Schedule your next appointment with us today.